Trump Reimposes Sanctions on Iran. Now What? Under the terms of the 2015 nuclear deal between Tehran and world powers, the United States agreed to relax sanctions on Iran. But the Trump administration has now begun to put them back in place, with the first batch to be reimposed Monday. Those sanctions target a range of economic sectors, including automobiles, gold, steel and other key metals. After 90 days, a heftier tranche of sanctions on Iran’s oil industry is set to go back into effect. This has all been a fait accompli since May, when President Trump decided to formally renege on American commitments under the nuclear accord. The president rejected the assessments of U.N. monitors, who had repeatedly said Iran was in compliance with the terms of a deal that had placed strict curbs on its nuclear activities. He also dismissed the entreaties of numerous European allies, who wanted to preserve what they saw as a successful and hard-won nonproliferation pact. Now, European efforts to shield European companies that may still want to do business in Iran — and thereby risk falling afoul of U.S. sanctions — are flagging. The chance that these firms may face “secondary sanctions” from Washington could stoke tensions between the United States and its Western allies; it has already compelled various prominent European energy companies to scale back or fully cut their operations in Iran. In Iran, meanwhile, the prospect of a return to sanctions has caused the rial, Iran’s currency, to plunge in value. Iranian President Hassan Rouhani has tacked toward the country’s hard-liners, who had derided both him and the nuclear deal he helped broker. Over the weekend, the Iranian military said it staged naval exercises in the Strait of Hormuz, a pivotal sea lane for global oil shipments. The nuclear deal had presented Iran with an opening to the West after years of tensions and deepening isolation. But with that window now closing, Iran’s theocratic leadership is reverting to the vows of “resistance” and self-sufficiency that have animated the regime for nearly four decades. It’s a return instigated by Trump, who came to power vowing to unravel his predecessor’s signature diplomatic achievement. “The U.S. election in 2016 was always a cloud over the agreement, and in the end it produced the worst possible result,” Farid Dehdilani, international affairs adviser for the Iranian Privatization Organization, a government agency, told Agence France-Presse. Trump administration officials and Iran hawks in Washington believe sanctions will further squeeze the Islamic republic and weaken the regime. Over the weekend, Trump gloated about reports of expanding economic protests in Iran — Secretary of State Mike Pompeo has also championed the protesters — and linked the worsening political climate in Tehran to his decision to reimpose sanctions. All of this turmoil, he says, is added leverage that will force Iran to negotiate a new nuclear deal. Moreover, despite the mounting difficulties it faces, the regime is not about to crack apart. 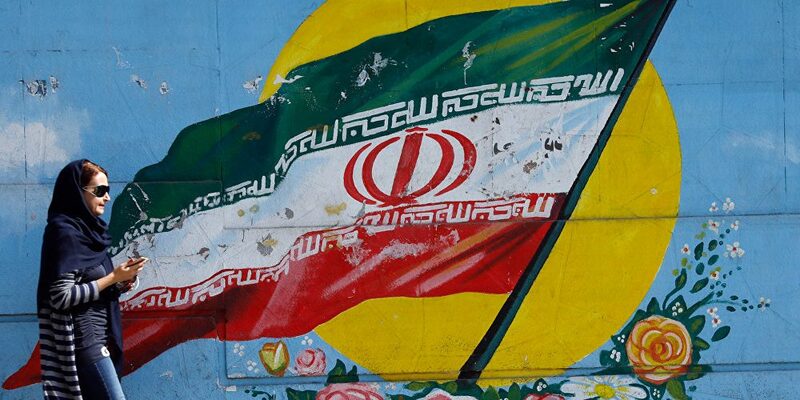 Experts say the sanctions coming back online are less asphyxiating than those in place before the forging of the nuclear deal. And while European partners may reluctantly heed pressure from the White House, key importers of Iranian energy, including India and China, may not go along so easily. “China has announced it will likely continue importing oil from Iran, even after the United States moves to cut down Iranian oil sales down to zero by November,” Dina Esfandiary and Ariane Tabatabai wrote in Foreign Affairs. Beijing also looks set to broaden its cooperation with Iran through its ambitious global infrastructure project, known as the One Belt, One Road initiative, as well as investments in Iran’s nuclear energy sector. None of this will be helped by the Trump administration’s ongoing trade dispute with China. “Trying to enforce a strangulating sanctions regime on Iran without even a de facto cooperative relationship with China is going to be very, very difficult,” Jarrett Blanc, a former State Department official who worked on the Iran deal under the Obama administration, said in a phone call last week with reporters. “There’s no question that the United States can do damage to Iran’s economy,” he added, but he said that Iran is no less resilient than it was in the years before the nuclear deal was agreed. My colleague Jason Rezaian, who was The Washington Post’s correspondent in Tehran while the nuclear deal was being forged, wrote about the immense hardship endured by Iranians living under sanctions. Prices rose, supplies of lifesaving medicines dwindled, and middle- and working-class Iranians suffered while well-connected regime elites grew rich through the black market. But this should not give regime-change proponents in Washington too much cause for optimism, he warned. Iran’s leaders know how to circle the wagons and preserve power, even as public disquiet grows. Read the full article by Ishaan Tharoor on The Washington Post, August 6, 2018.